Obituary for Sean Christopher Bell II | L.E. Black, Phillips & Holden Funeral Home Inc.
Services will be 12:00 noon on Tuesday, August 28, 2018 at the L. E. Black, Phillips & Holden Funeral Home for Mr. Sean Christopher Bell, II, 18, of Youngstown who entered eternal rest on Tuesday, August 21, 2018. Sean was born April 27, 2000 in Youngstown, a son of Sean C., Sr. and Christine Stonework Bell. 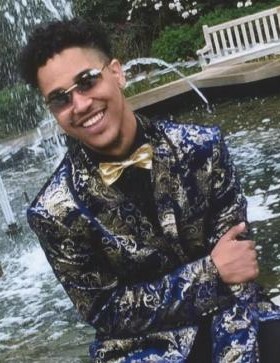 He was a 2018 graduate of Chaney High School and was to enter YSU this fall. He was part of the Young Scholars program with Youngstown City Schools and enjoyed music and basketball. He was an avid Chicago Bulls fan. He was a member of Victory Christian Center – Coitsville Campus. He worked during the summer months as a carnival worker traveling to different locations. He leaves to cherish his precious memories, his parents; a sister, Alexis Bell; a brother, Brian Brown all of Youngstown; grandparents, Edward and Jean Stonework of Campbell, Gladys Bell of Youngstown, Debra Leggard of Elyria and Margret Covelli Grissett of Henderson, NV; his niece, Brielle Lafay Brown of Youngstown; great uncle, Marion Luke of San Diego, CA; great aunt, Linda Sheppard of San Diego, CA; his best friend, La’Trey Watson of Youngstown; and a host of family and friends. He was preceded in death by his grandfather, Ronald J. Grissett. Visitation will be Tuesday from 11:00 a.m. – 12:00 noon at the funeral home.